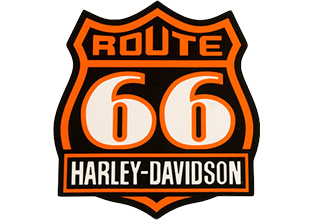 Route 66 Harley-Davidson wanted to maintain its visibility with current customers and add new customers and revenue through a holiday promotion. The goal for 7 Media Group’s services for Route 66 Harley-Davidson was to promote products and increase sales to existing and new members of their mobile club. Membership in Route 66’s mobile club was promoted through its social media campaign, in-store marketing and previous customers of the dealership. Members then received daily alerts offering a 20% discount on a different merchandise item each day. This increased customer awareness of the merchandise inventory and drew more customers into the store during a time of the year when sales are typically slower. The dealership had significant increase in sales of the specific items discounted during the campaign period. For example, the sale of T-shirts purchased on T-shirt Day was over 250% more than a normal day. High-dollar items also saw increased sales. On Helmet Day, the number of helmets sold with the 20% discount equaled the number sold for the entire previous week; and on Leather Jacket Day, seven leather jackets were sold at the 20% discount, representing a 16% increase over jacket sales the previous week. These numbers also represented an increase in dealership traffic . 7 Media Group offers a robust, proprietary platform that can accommodate virtually any SMS campaign, mobile web site, QR codes and much more. Our system is a full opt-in/opt-out format to easily provide two-way communication between you and your audience. Our experienced management and staff bring over a decade of interactive media experience. We can help you create a mobile loyalty club so you can better communicate with your customers.